Weather forecast, Snowdonia, 8th and 9th Nov 2013: Frequent snow and hail, risk of thunder, 45mph gusts, and 40% chance of cloud free summits. What more could you want from a weekend of fell running in Snowdonia. Well, the information did say fair weather runners need not apply! My husband Eamonn and I set off to LLanberis, North Wales, with enough running gear to move to there permanently. 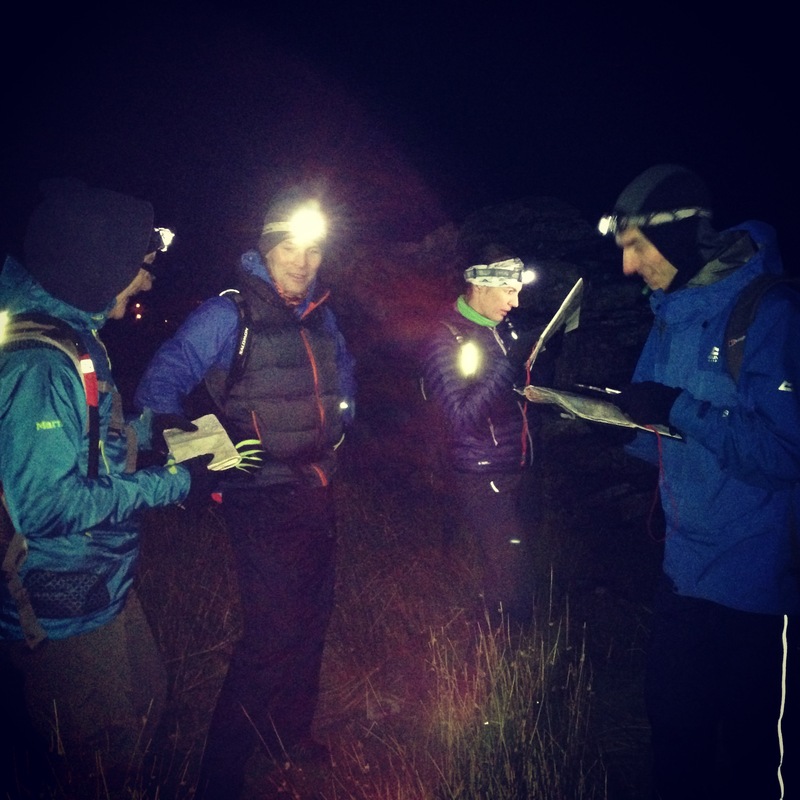 The plan was to spend a weekend at an off road running winter camp, courtesy of Sarah Ridgeway of Run Snowdonia. 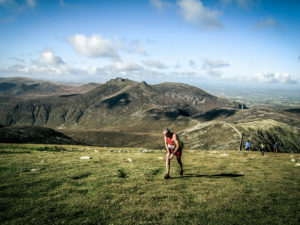 Sarah is an accomplished runner, who has competed all over the world and represented Wales at International level on numerous occasions as well as holding a number of race records, not least the Classic Snowdon Horseshoe in 1hr 43mins. Sarah is also a qualified mountain leader so we knew we were in safe hands. The weekend was aimed at getting people better equipped to handle harsh winter conditions safely, focusing on everything from kit, food and drink, though to improving running skills, with a large emphasis on navigation. The groups are limited to 4 people, which is ideal as it gives each person ample opportunity to ask lots of questions. Prior to our trip we were required to email Run Snowdonia with some info on current training and what we hoped to get out of the weekend….of course mine was to improve my downhill technique and improve on my map reading, but we were also looking forward to a weekend out running in beautiful surroundings. It seemed to rain most of the day on Friday but cleared just before our group met that evening for a 5 mile steady run round the lake at Llanberis, which allowed us to get to know one another and ease into the weekend. I guess this enabled Sarah to gauge everyone fitness levels before letting us loose in the mountains. Saturday morning we met at the famous Pete’s Eats for quick kit check before heading out on our planned 2-3 hour run. Immediately we were able to pick up some good tips…we did not have nearly enough food or water, and so began my weekend diet of flapjacks, flapjacks and more flapjacks. Thankfully the weather held up and we were in for a chilly but mostly clear day. We headed off to the summit of Mol Eilio at 726m (up the decent of the Commonwealth route) and across to Foel Gron, Foel-goch and Moel Cynghorion then descended to Cym Brwnynog and cut down though the valley to bring us out on the road section familiar to me as the start of the Snowdon Race. Along the way Sarah gave us useful tips on running skills, as well as encouraging us to be much more aware of our surroundings, which we would soon come to appreciate as the weekend progressed. After a quick shower and good chat over lunch it was back to Pete Eats for a classroom based session on navigation theory training. We then put some of this into practice, heading out again for some night navigation. I’d never tried this before and found it really useful. Just as we finished the heavens opened so the only soaking we got that day was heading to the pub. The weather for Sunday was much more promising. To start it was more info on navigation and planning our route for the day. Whilst to me it seemed like perfect conditions, clear sky and snow topped mountains, Sarah advised that the top of some mountains could be treacherous when icy, and helped us pick a route that ensured we would not get into any trouble. It was then up to our group to navigate round the route with Sarah hanging back but providing a few hints along the way. We started from Nant Peris and headed up to the summit of Y-Garn, this was the highest climb of the day at 947m. The views were spectacular with not a cloud in the sky. We then ran to Foel-Goch, Mynydd Perfedd and across the ridge to Elider Fawr, stopping at each point to make the most of the views, where we could see everything from the summit of Snowdon to Holyhead Mountain. The fast steep descent from Elider Fawer (924m) to the road was initial rocky but quickly changed to grass and was a great finish to our run. It was then off to a café for an overview of our weekend and any final questions we wanted to go through with Sarah before we headed off on our separate ways, or in our case to the pub for a well-earned pint. We had a fantastic weekend, learned lots and would highly recommended it. Sarah makes the navigation interesting, is great fun and a fountain of knowledge. 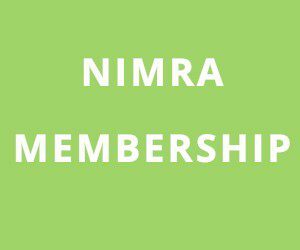 We were lucky in that our group was similar paced as I know that this is not always the case but it is important to point out, it is not a fitness training camp. As you can see, Run Snowdonia also provided us with lots of great photos of the weekend, and thanks to the good weather all the gear changes were not required. In terms of meeting my objective of improving my navigation, I definitely learnt a lot over the weekend and know that I now need to get out and practise. As for the descending skills, well you’ll have to wait till next season to see me racing!